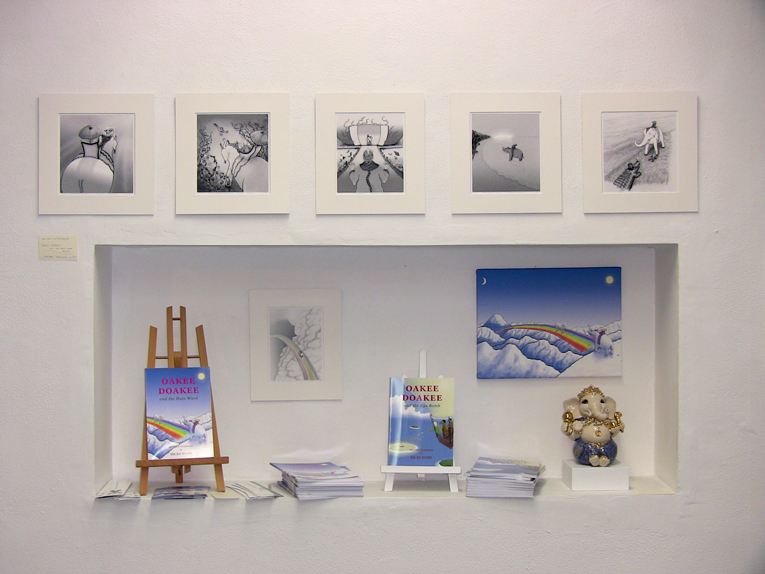 Oakee Doakee in a Vienna art gallery! This is great! Looks like an excellent presentation of your artwork and books. Is your new book out yet?